Lovell Lee is a community organizer and military veteran who has spent more than a decade rehabilitating himself following a 24-month prison sentence in Florida. 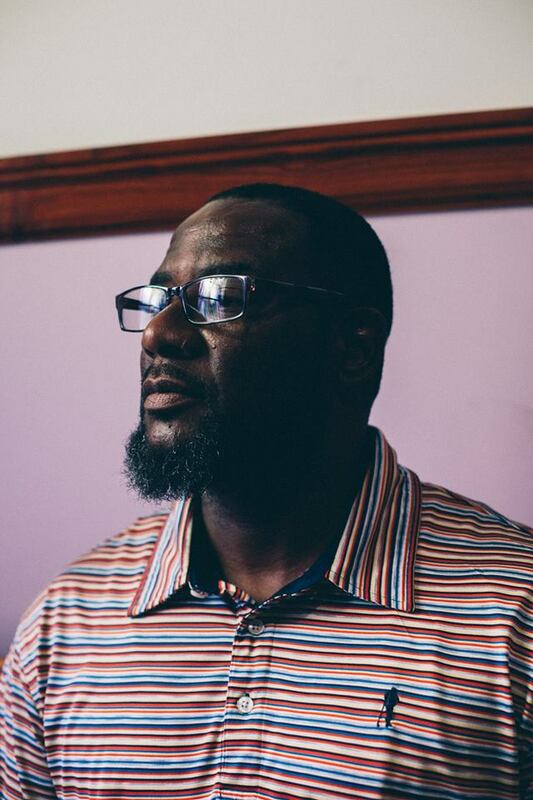 He’s also been committed to his faith since serving his sentence, and currently speaks with men and women about the importance of responsible and engaged fathers. I served four years in the United States Marine Corp., three of those years at Camp Pendleton in California, and the last year in Okinawa, Japan. After I was released with an honorable discharge when I was 23 years old, that’s when I started to get involved with the drug culture. I started abusing drugs like crack cocaine, and I was in and out of jail. I went to prison in 2005, then I was released in August 2006. And I’ve been out ever since. And how are you doing now? What do you think motivates you? I’m 50 years old, and I’ve been clean now for 13 years, completely drug free. I’ve also been married to the most beautiful woman in the world, Caprona Lee. But there was a lot of disfunction, a lot of bad choices that I made. My biological father died when I was young, so there were a lot of things I was missing as a boy that I’ve since learned in the ministry. So now I try to reach other young men and help them avoid some of the same mistakes, and I know a lot of people are very successful without their fathers. But I still believe in the importance of the man in the house. And I think that’s why it’s something the system uses because if you remove the man, not just a black man but any man, it weakens the family. If you get free in your mind, you'll get free in the other areas of your life. When did faith come into your life? 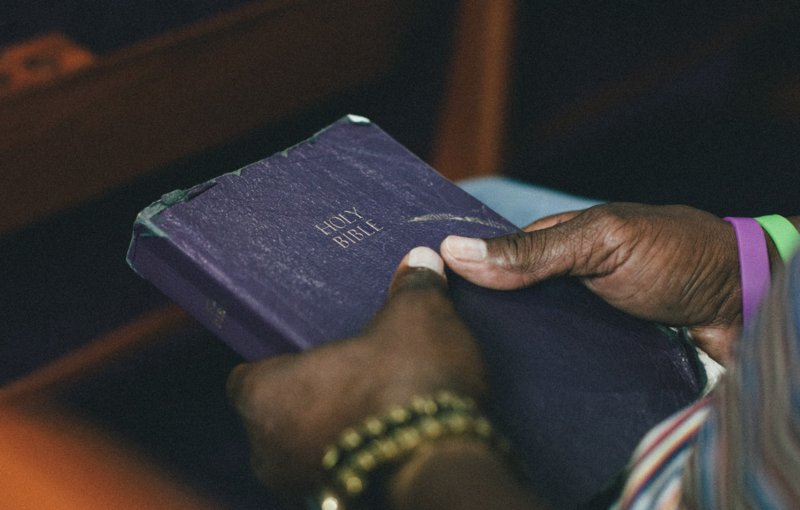 I came into a relationship with the Lord Jesus Christ while I was incarcerated. 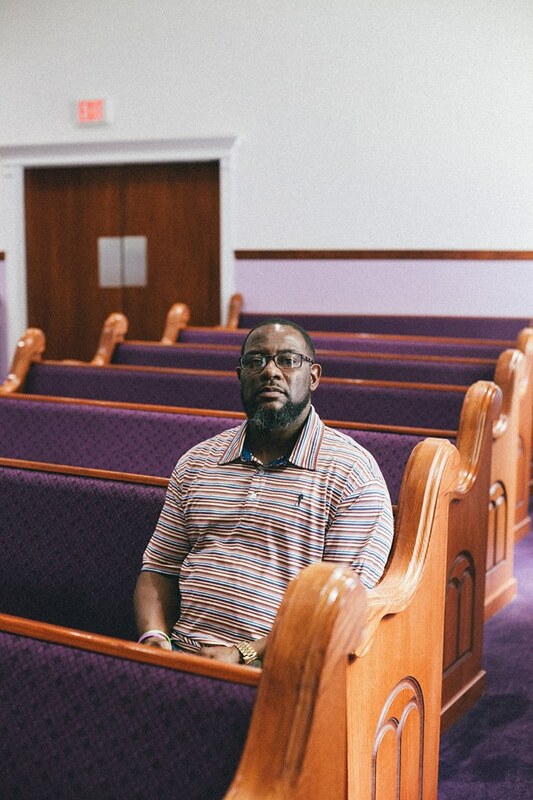 God spoke to me and said, ‘You’re gonna do prison ministry, I’m gonna bring you back into prison.’ The Florida Department of Corrections in Tallahassee, FL denied me in 2009 and I got a little discouraged, but I stayed faithful to what God called me to do and I was approved in 2014 with a program called Malachi Dads, where they teach men to be fathers. One of the things I decided in prison is that I’m not going back, not as an inmate. God has blessed me with that and I knew that in order for that to happen, my mind had to change, because if I kept doing what I was doing, I was gonna go back. Because of your conviction, you cannot vote in Florida this November. Given that you completed your sentence and you’ve since attempted to rehabilitate yourself after your release, how does it feel to know you still don’t have the right to vote? For me that was extra tough, because I served my country. I gave my life to the military and I struggled with some post traumatic stress disorder issues, but when I went into the military I had never been in any trouble, as a juvenile or as a young adult. So it’s really frustrating when I you look at the American flag and think of what it represents, and I think of the Pledge of Allegiance, when it says “with liberty and justice for all.” I have a real problem because there is no liberty and justice for all. In our country, this is the greatest country on the planet, we’re kind of hypocritical about that, and as time has passed I think it’s gotten worse and worse. How else has your previous conviction affected your life since being released? I applied for a job several years ago because I owed some back child support. I had been out of prison eight or nine years at that time, and I was turned down for the job. I had another moment where I applied for a Honda dealership in Vero Beach and the supervisor came and said that they didn’t want to keep me because of my background. And that’s discouraging, because I’m not a second-class citizen. I’m just as important as the next man or next woman who have never done anything. And this kind of treatment just breeds a trail of people who eventually become hopeless. And I think that’s the leading contributor to mass incarceration, because desperate people do desperate things. They ain’t necessarily supporting the drug habit or something. I know breaking crime is the law, but a lot of people are actually trying to survive, or take care of family. There are a few items on the ballot in November in Florida that might break that cycle. Are there are any amendments you’re watching specifically? I believe it starts with Amendment 4. One of the biggest things I didn’t know about before was the challenge of getting your voting rights back, but you have to be mindful about what’s happening. If somebody can go and work and get some gainful employment, then a lot of young men, young women, a lot of young will stop selling drugs. They’ll come off the street corner. It's not just about going and casting a vote. It's about so much more. Right. And I know things won’t change overnight. But then when I think back for the people that fought, back in the days, for all of us to enjoy liberty, it’s gonna take that kind of effort. And a lot of people just aren’t willing. I feel a strong sense of urgency in my heart to be a trailblazer. It’s a defining moment in the state of Florida. What do you think it would mean to you if Amendment 4 passes in November? I’m gonna be rejoicing. It’s a lie that your vote don’t count, because every single vote in Florida does count. It gets frustrating sometimes because everybody’s not gonna get it, but I’m gonna keep it moving and I’m gonna keep depositing as much as I can in as many people’s lives as I can. As a man, I know who God called and designed me to be and I know my purpose in the earth. I wanna go out trying to help people. I want to see people experience freedom, coming outside the prison walls with freedom in their minds. Because if you get free in your mind, you’ll get free in the other areas of your life.